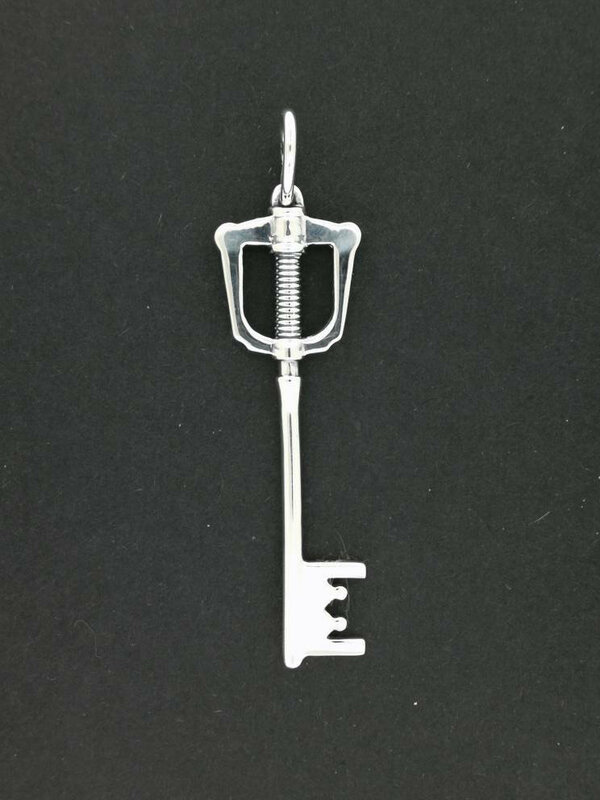 This is a handmade key pendant based on the Kingdom Keyblade from the hit video game Kingdom Hearts, of which I'm a fan of. Made in .925 sterling silver, the pendant measures 5.5 long plus the loop, 1.8cm wide and two sided. The jump ring is a nice size for any size chain or cord. 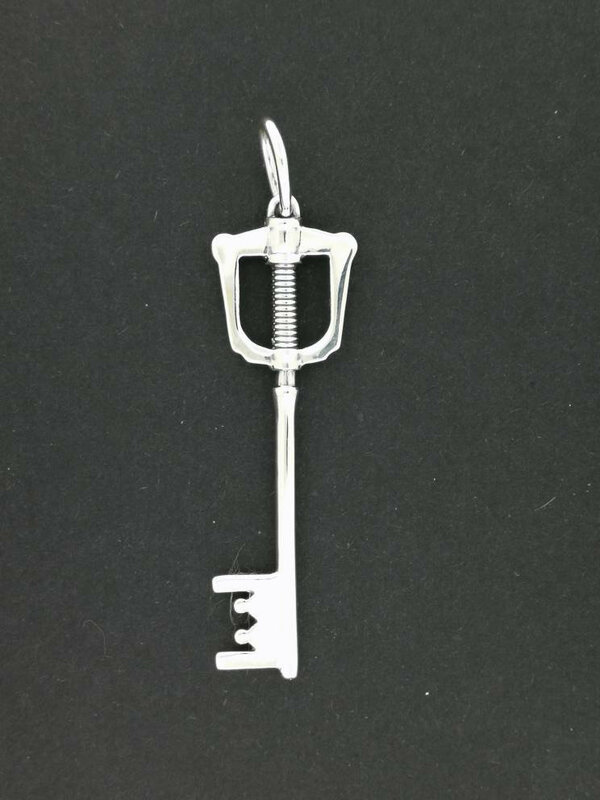 The Kingdom Key is the most iconic Keyblade in the Kingdom Hearts series, as it appears within each game of the series, and frequently serves as the default Keychain for cutscenes.